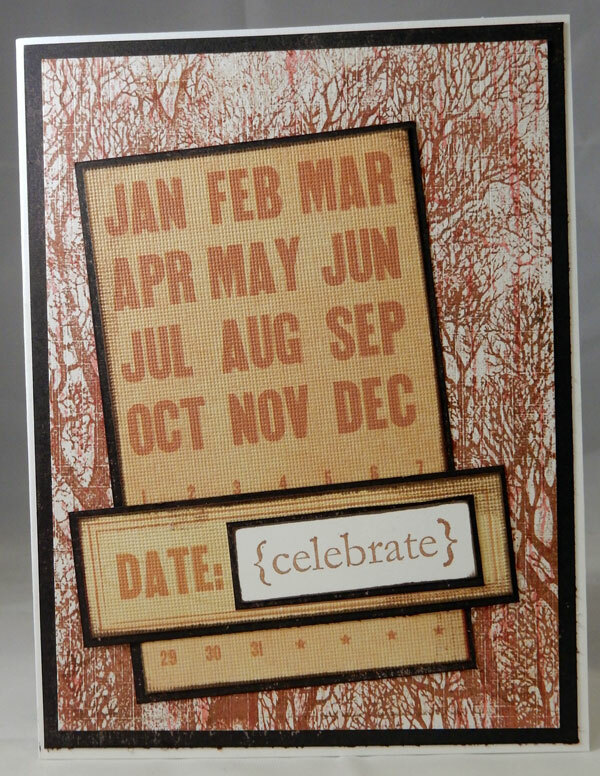 Hi everyone, it's New Year's Eve and time to celebrate the end of 2015 and the start of 2016. Using stamps from So Suzy Stamps, I've created 2 cards just for you. 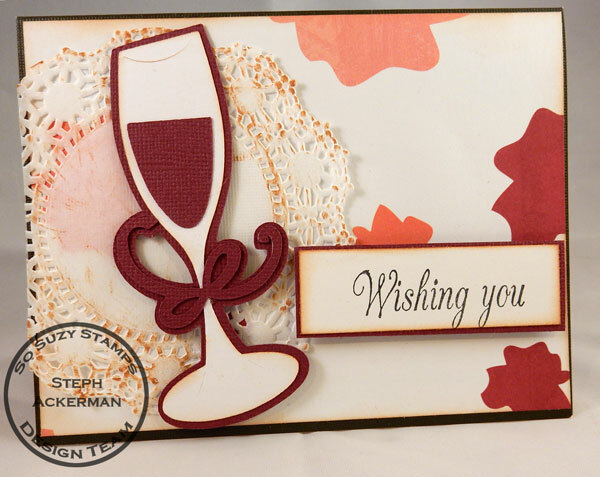 The wine glasses were die cut using my Cricut Expression. I adhered one wine glass to a doily with foam adhesives. Then I added the sentiment. 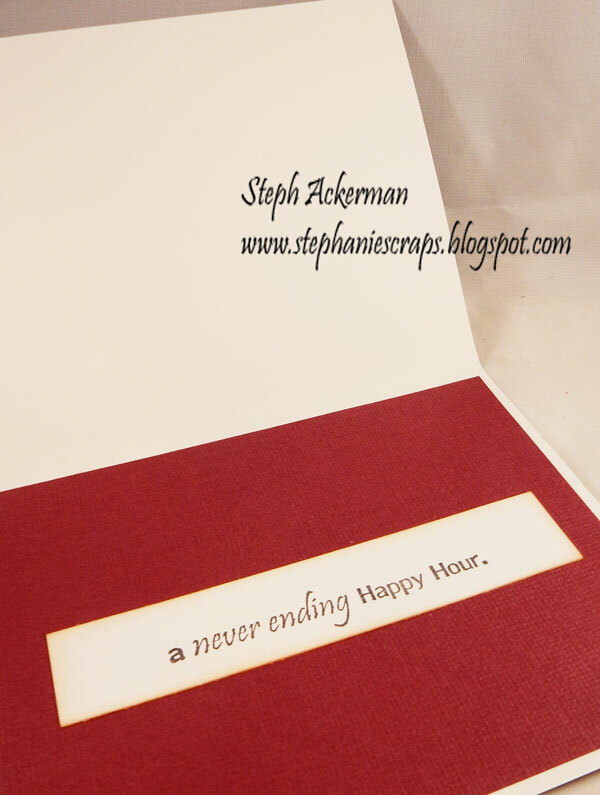 The corresponding sentiment was placed inside. 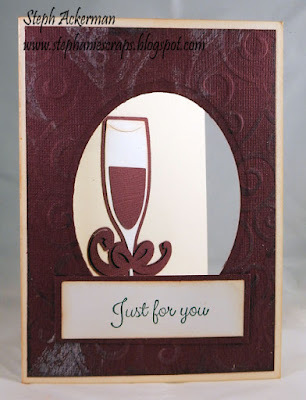 The front of this card was embossed with a Cuttlebug embossing folder then inked with white ink. 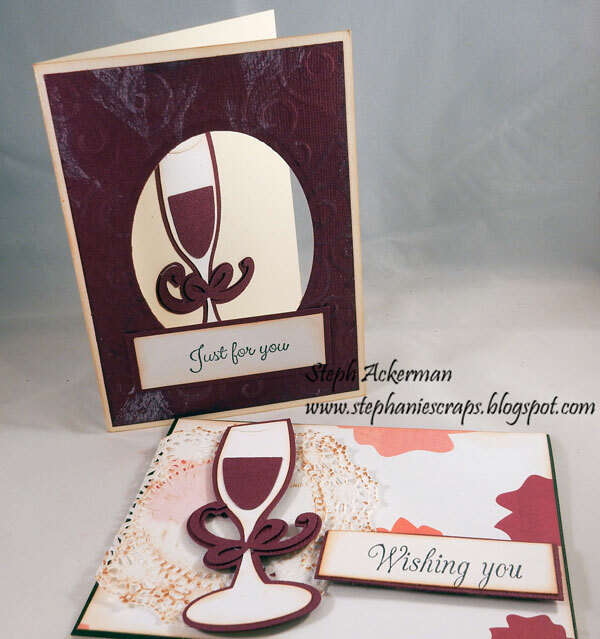 Next, it was die cut so the wine glass peeked out from the interior. The sentiment was placed just above the opening. Happy New Year. Thanks for stopping by today. It's a new challenge at Cornish Heritage Farms, and we'd love to see a calendar on your project. For the background I used the Trees Backgrounder stamp - one of my favorite stamps. Then I cut the calendar and tag from some paper in my stash. 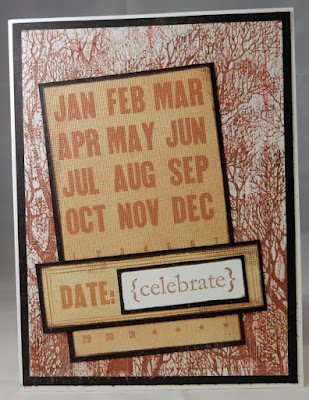 Celebrate is from the Birthday Greetings stamp set. 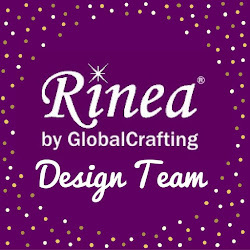 Hey everybody, now the holidays are behind us, it's time to start thinking about the snow that is to come and the New Year. It's still 60 degrees here in New York which is unbelievable. But we do know that we can't outrun the snow. 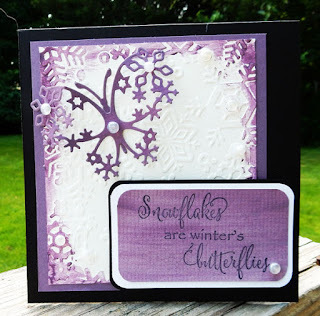 This lovely butterfly die from Wild Rose Studio. 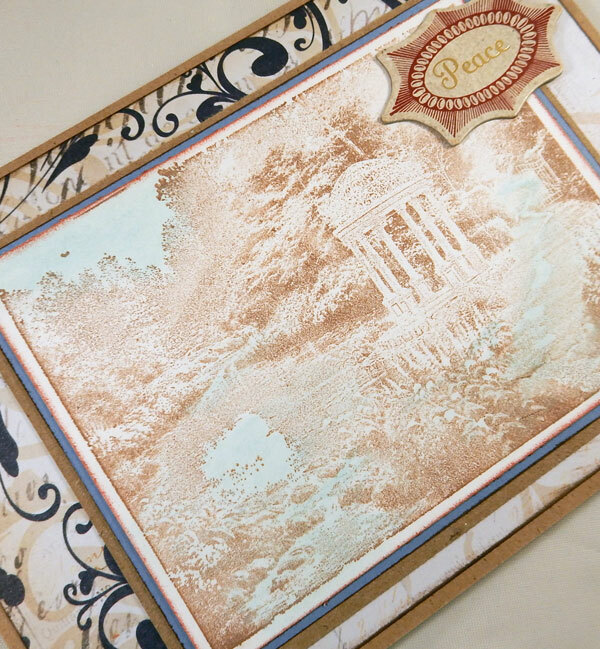 It's truly delicate and oh so pretty. I painted white cardstock with Earth Safe Finishes Plum Preserves. Once dry, I die cut the delicate butterfly from the painted paper. Then I stamped a sentiment from So Suzy stamps in black ink. 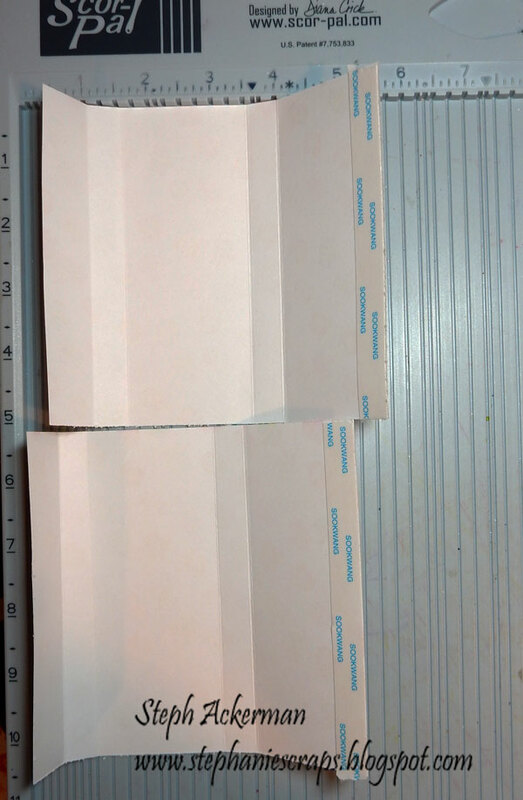 I created a card from black cardstock. 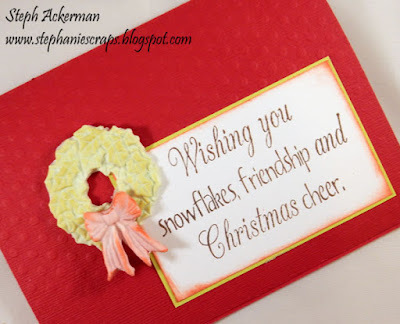 Next, I embossed a white panel with a snowflake embossing folder. 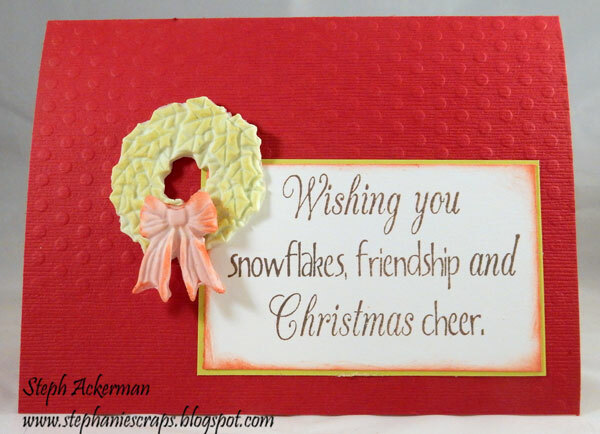 To highlight the snowflakes, I used my finger to add Plum Preserves to portions of the embossed design. 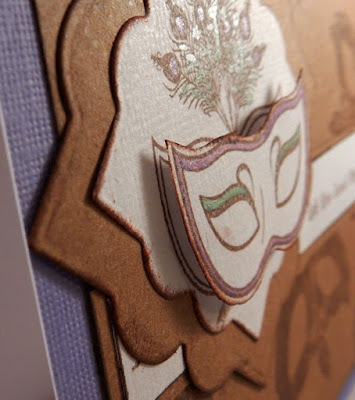 When dry (and it didn't take long), I matted the panel with purple cardstock and added the panel to the card. I matted the sentiment with white and black cardstock and added it to the card with foam adhesives. Next, I added some Robin's Nest Dew Drops about the card. I love the butterfly. 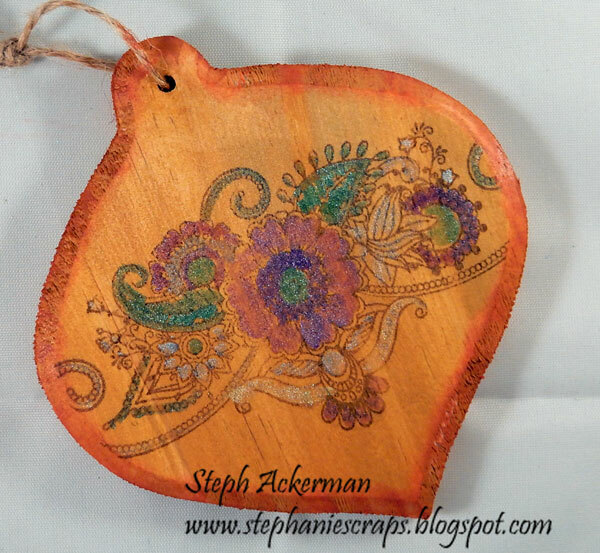 Even though it is delicate, it die cut beautifully from the painted paper. 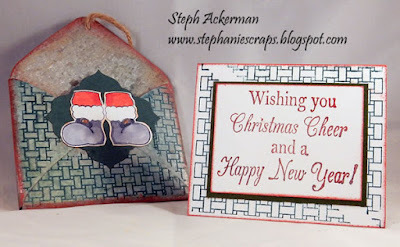 Hi everyone, it's Day 9 of my 10 days of quick and easy Christmas projects. 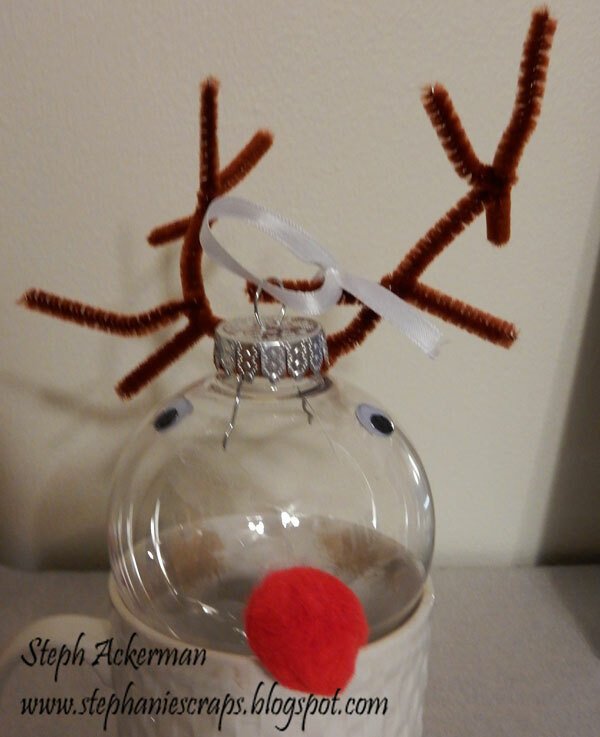 Here's a very quick project the kids will love - Rudolph the Red Nosed reindeer ornament. 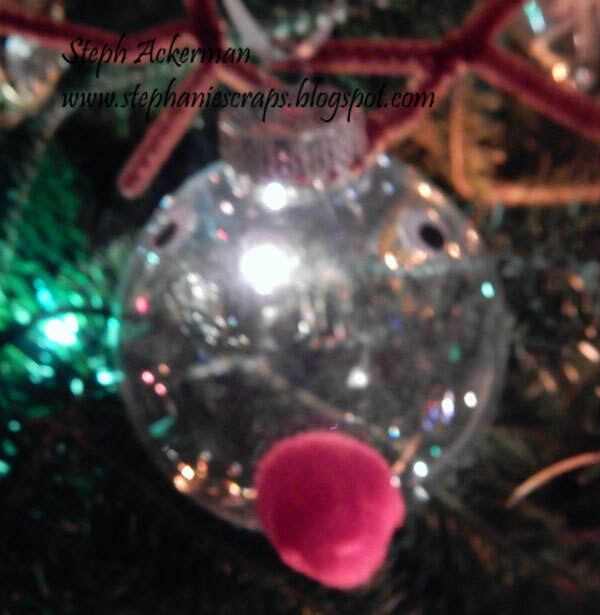 Use a plastic ornament and remove the hanger. Wrap a brown pipe cleaners around the top edge to create his antlers. Add wiggly eyes and a nose. 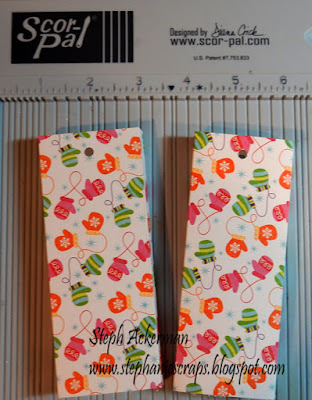 Tie some ribbon to the hanger and put him on the tree. 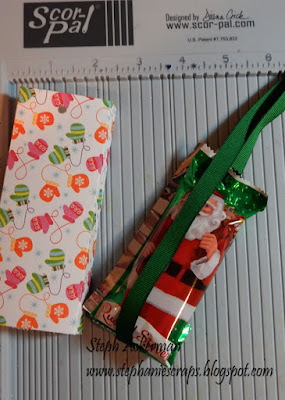 Let the kids make a bunch of these. Today I'm working with the Mardi Gras stamp set. 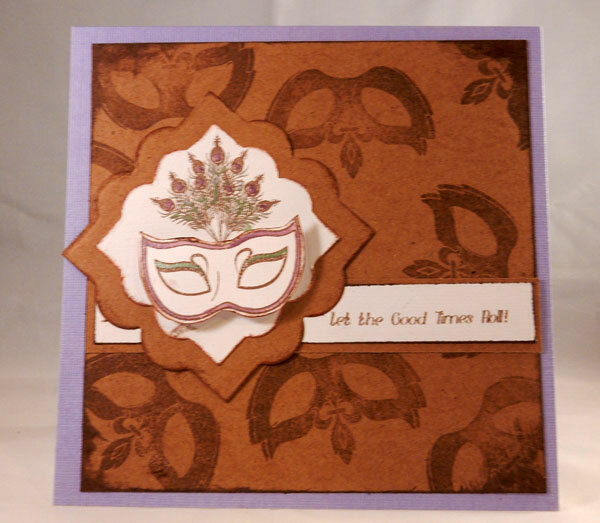 I've repeatedly stamped one of the masks to create the background of my card. 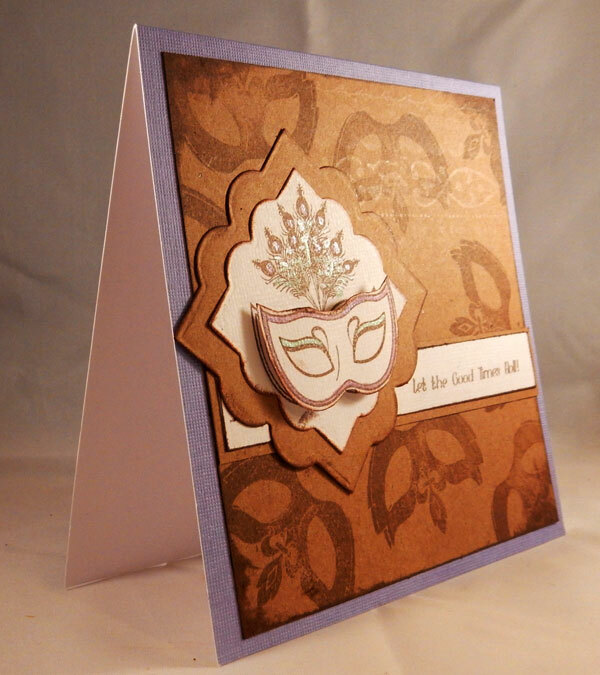 I fussy cut one of the masks and added some color with Smooch Accent Inks then added it to the main image with foam adhesives for dimension. Hi everyone, it's day 8 of my 10 days of quick and easy Christmas projects. Today is time for tags. 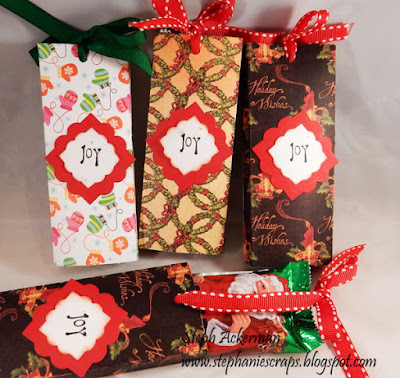 I love adding tags to my gifts and they don't take long to make. 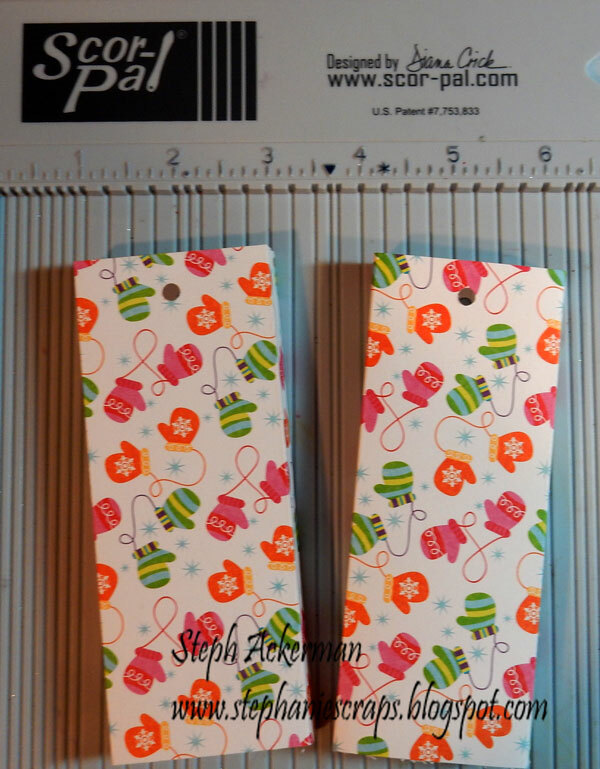 Cut a tag to the desired size. 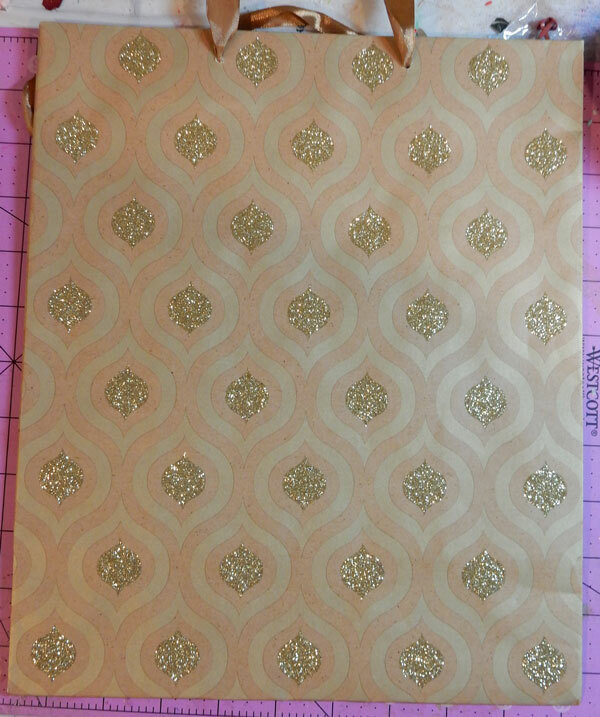 Cut cardstock and pattern paper to fit. 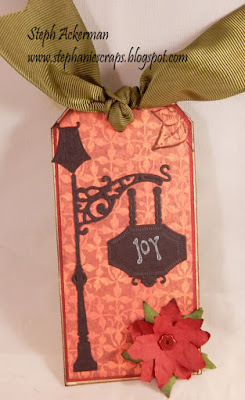 Die cut the Victorian Lamp post from black cardstock and adhere to the tag. 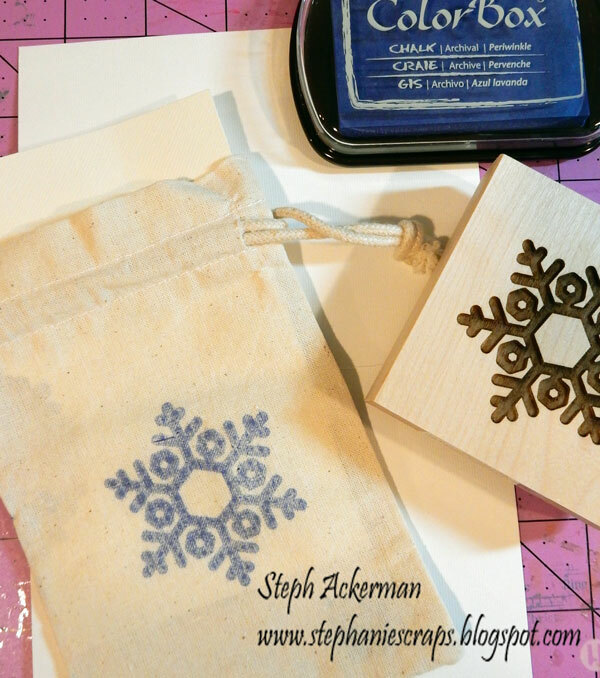 Stamp Joy in white ink on the post. Add a pointsettia to the corner. 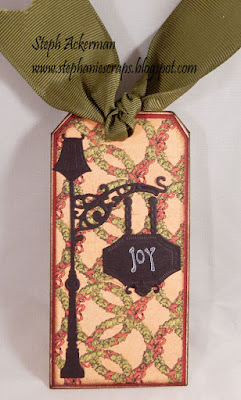 Ink the edges of the tags and add ribbon. 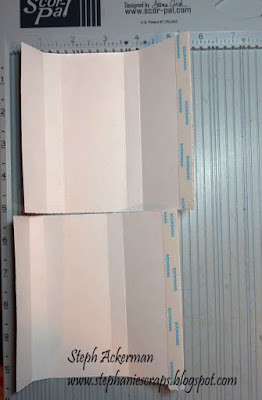 Now just add to the packages. Hi everyone. 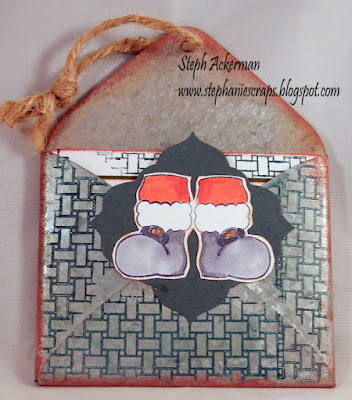 Welcome to day 7 of my 10 days of quick and easy Christmas projects. 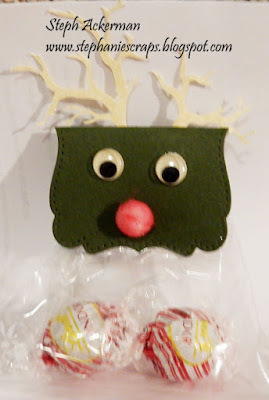 Today's project is a reindeer treat. This little guy came about by picking up left over stuff I found on my table. 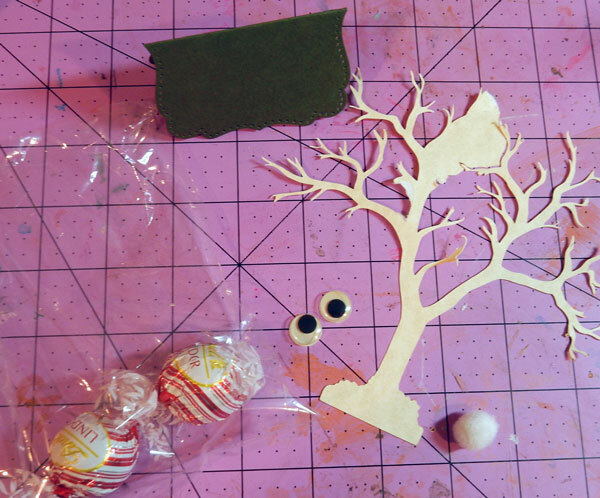 The antlers came from a left over die cut tree. The topper is from a left over die cut. Fold the topper over a cellophane bag filled with candy. Add wiggly eyes. 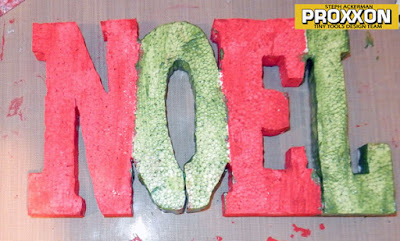 Color the white pompom with red ink and your reindeer is done. Hi everyone. Welcome to day 6 of my 10 days of quick and easy Christmas projects. 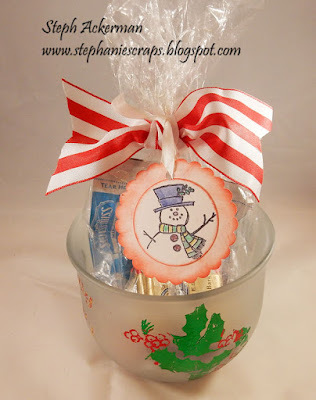 Today's project is an etched mug I've used for Snowman Soup. 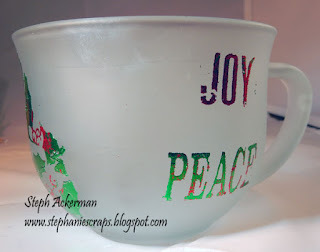 To create the etching on the glass mug, I've used Etchall dip 'n etch. Simply place the mug in the etchall for 15 minutes then rinse off. 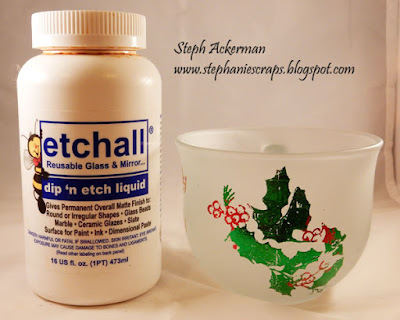 Since etchall is reusable, simply pour it back in it's original bottle so it is available for other projects. 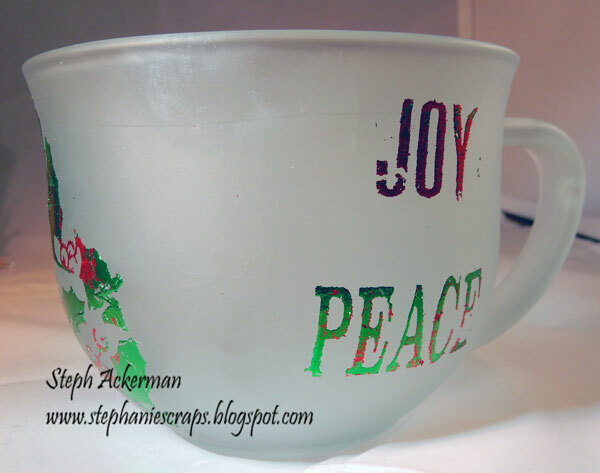 To add some Christmas joy, I simply added some Clearsnap Design Adhesives and Designer Foils around the mug. 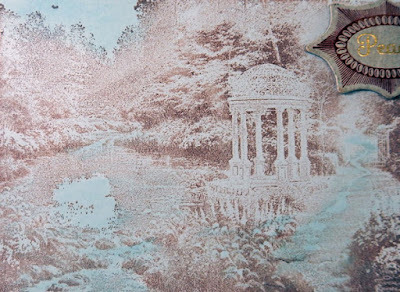 They adhered wonderfully to the etched glass. Add some cocoa mix, mini marshmallows and candy kisses and you have a fun gift for everyone on your Christmas list. 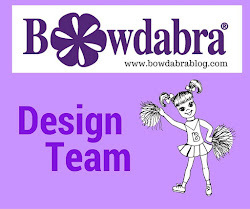 I am so excited to be working with the Proxxon Tiny Tools team. 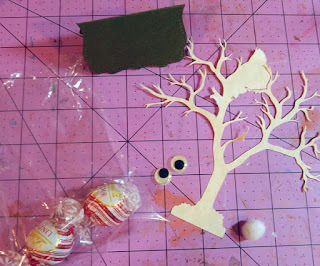 Today is my day to post on the Tiny Tools blog and I've used the Hot Wire Cutter to create NOEL which I'll be putting in the center of a wreath. P;ease check out the Tiny Tools blog for details. Hi everyone. 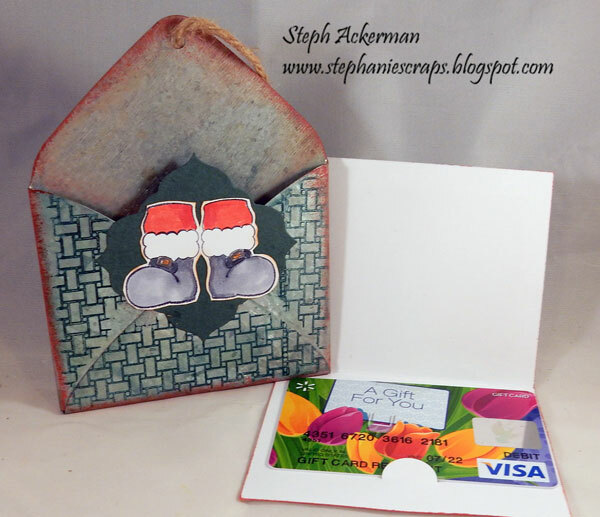 Welcome to day 5 of my 10 days of quick and easy Christmas projects. 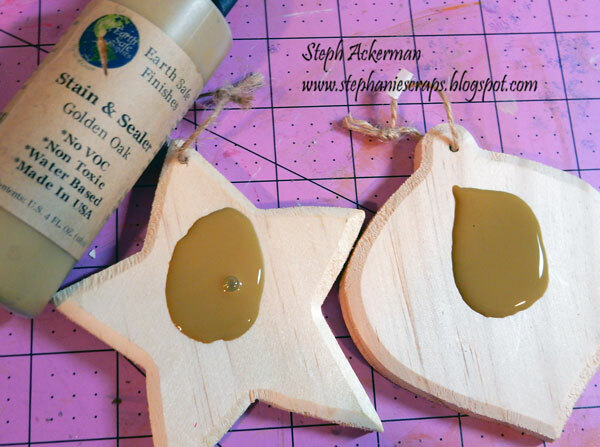 I first stained the wood ornament with Earth Safe Finishes Golden Oak - it provides a nice rich finish. Once stained, I stamped the Paisely image on the ornament. 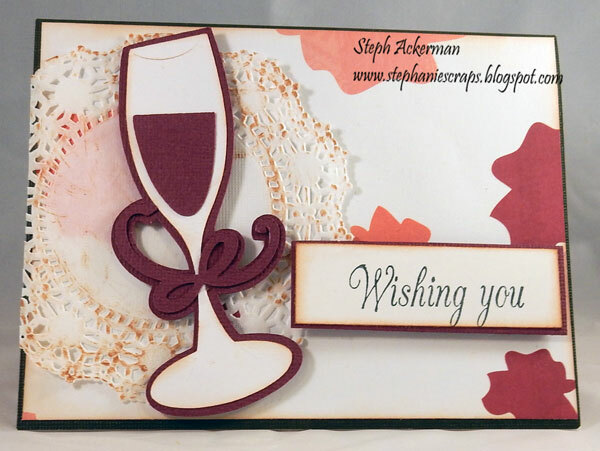 I added color with Clearsnap's Smooch Accent Ink. Hi everyone, Christmas is almost here. 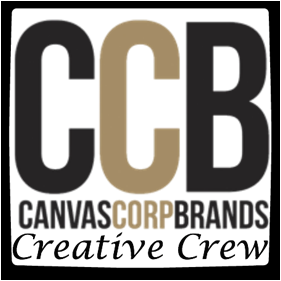 Are you ready? Are your Christmas cards done? 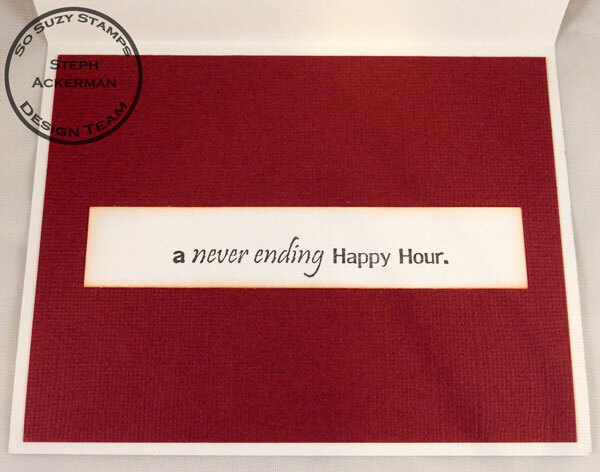 If you need some more inspiration, here's a fun card for you today. I created the wreath by mixing white clay with green paint and placing it in Makin's Clays Christmas Décor Push Mold. I inked over the wreath with green ink. 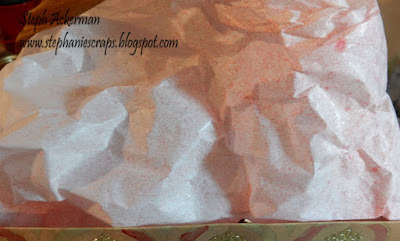 The bow was created by mixing white clay with pink paint. Once set, I also inked it. 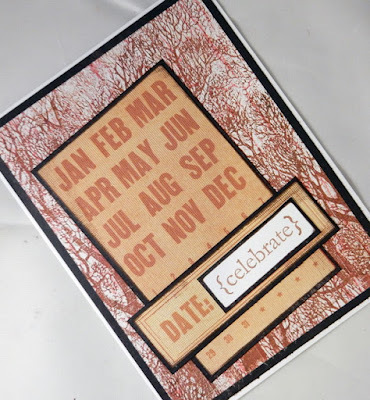 I've used a sentiment from So Suzy Stamps. 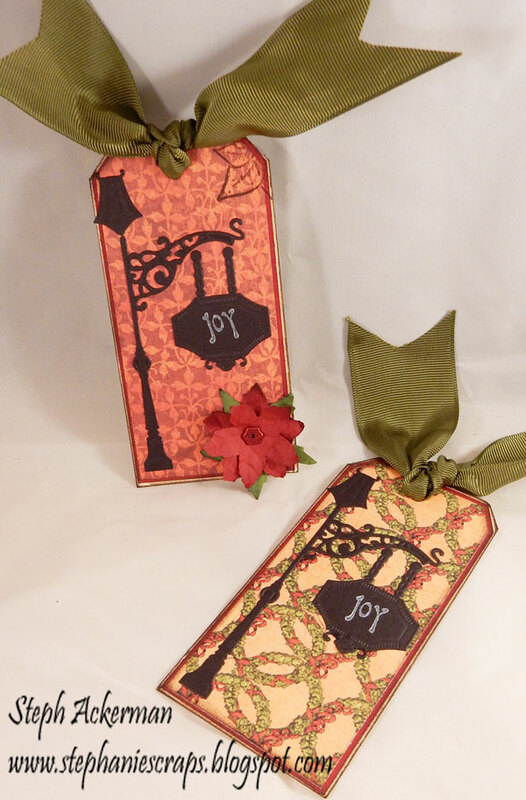 Welcome to day 3 of my 10 days of quick and easy Christmas projects. Today, I've taken a bland gift bag and transformed it with paint. 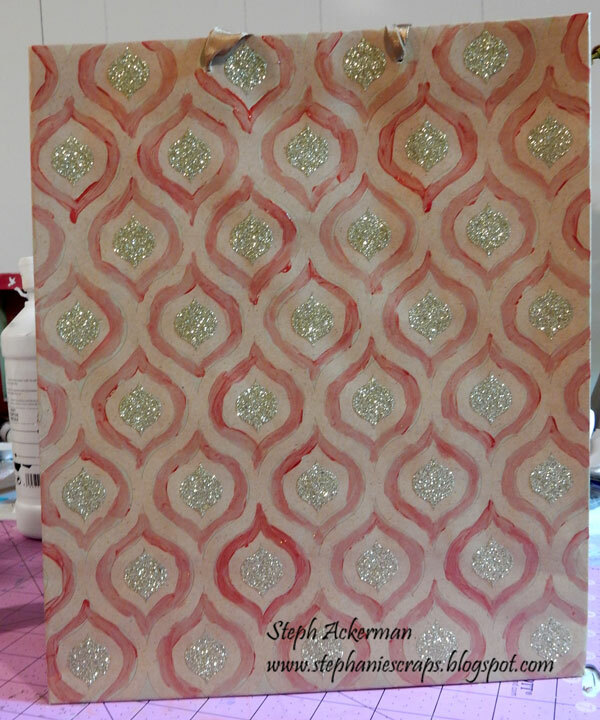 Following the design, I painted the ornaments on the bag using Art Anthology's Big Dip 'o Ruby. It adds a really nice shine to the bag. 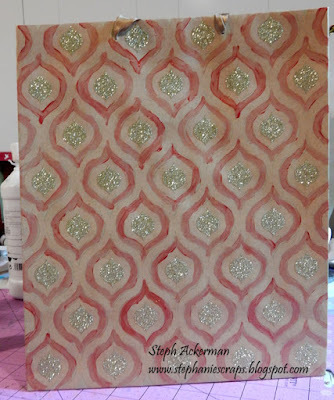 Add color to white tissue paper by spritzing with Heart Colorations. 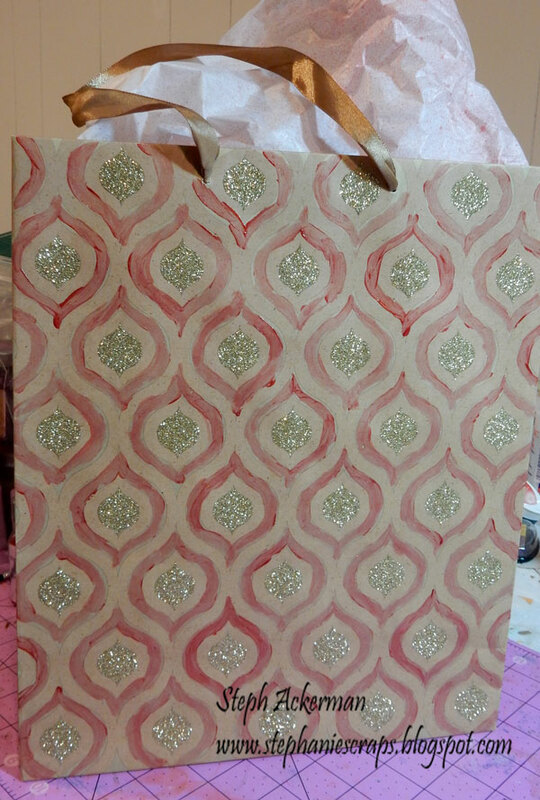 The transformation is complete and this bags looks so much prettier. 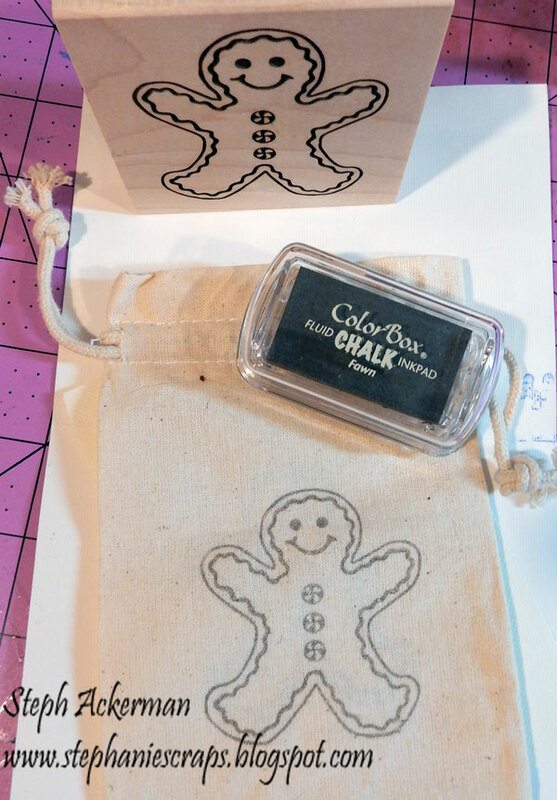 Clearsnap has come out with some new wood block stamps that are fun to use and even little hands can stamp with them easily. 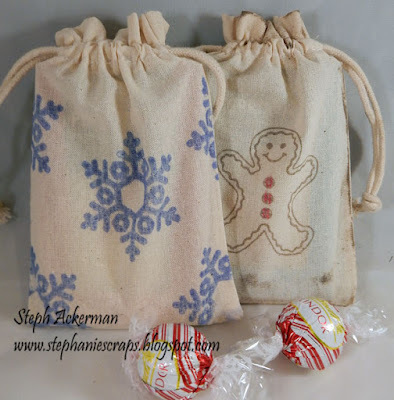 Stamp muslin bags for a quick and easy selection of goodie bags. I used the new Snowflake wood block stamp with Periwinkle Chalk Ink, stamping one Snowflake in the center and surrounding it with partial snowflakes. I used the new Gingerbread wood block stamp, stamping him in the center with Fawn Chalk Ink. Then I inked around the edges. 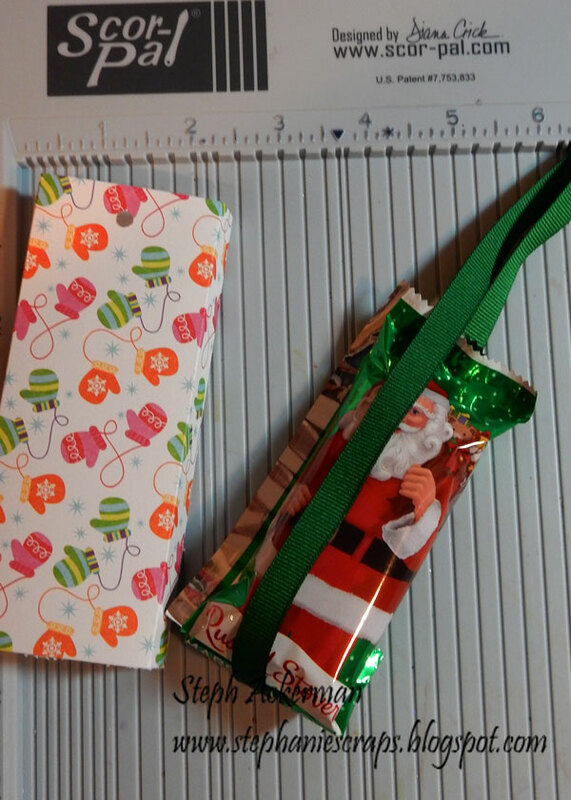 Just add some candy inside. 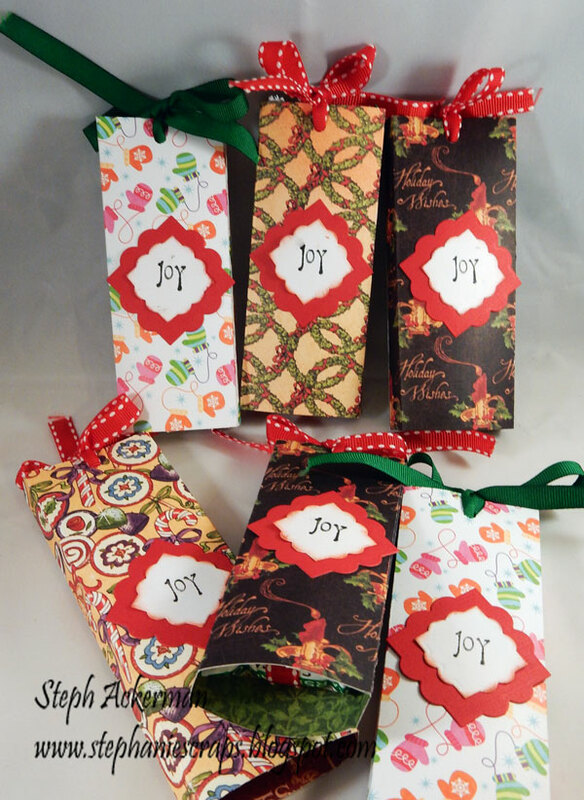 These would be perfect last minute gifts for teachers, bus drivers, neighborhood kids, and more. It's a new challenge at Cornish Heritage Farms, and it's time to see your Thomas Kinkade projects. 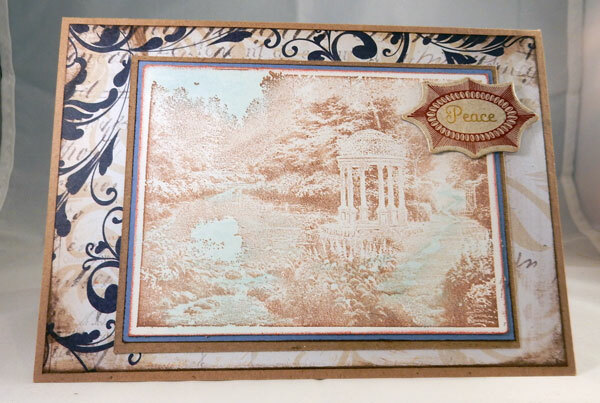 Today I'm using the Garden of Prayer stamp, stamping it in brown. 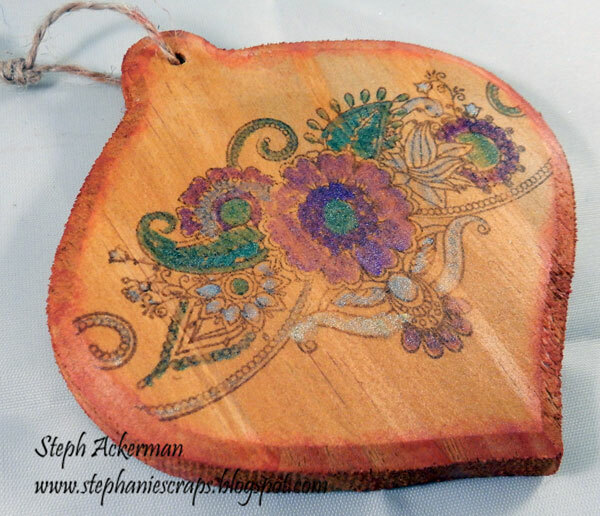 I wanted to show off the beauty of this stamp by adding some "spot" color. Using this technique allows just a portion of the image to show some color. 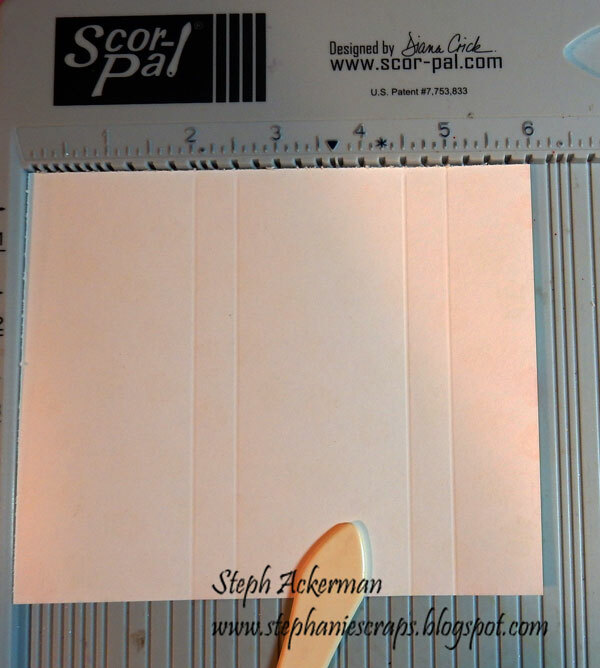 I think this really shows off the wonderful stamps. 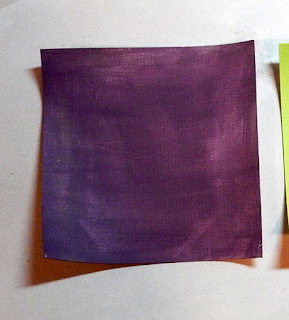 Using Faber Castell Gelatos, I colored in the stream and the sky.